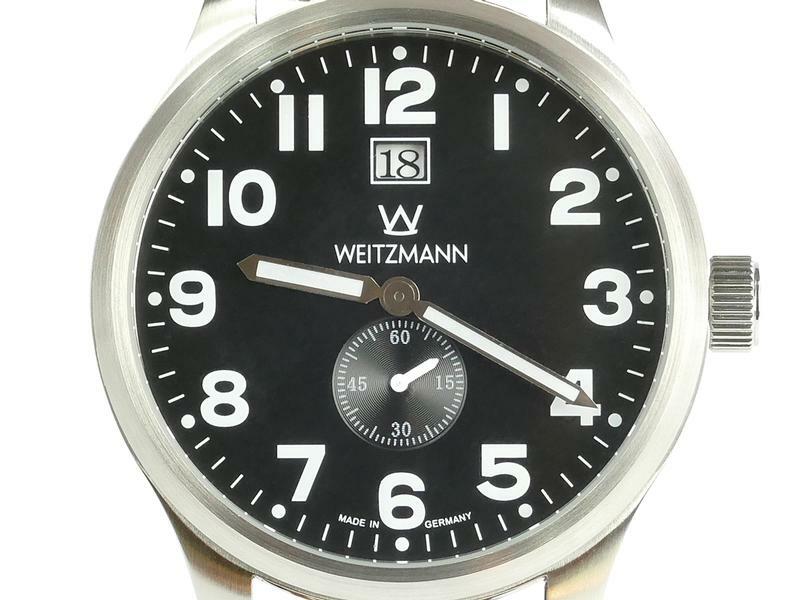 This WEITZMANN pilot watch „AVIATIC“ impresses not only with its puristic design language but also the polished stainless steel watch case (diameter 47 mm, height 15,5 mm, 5 ATM) and a quality quartz movement known for its precision and also durability. 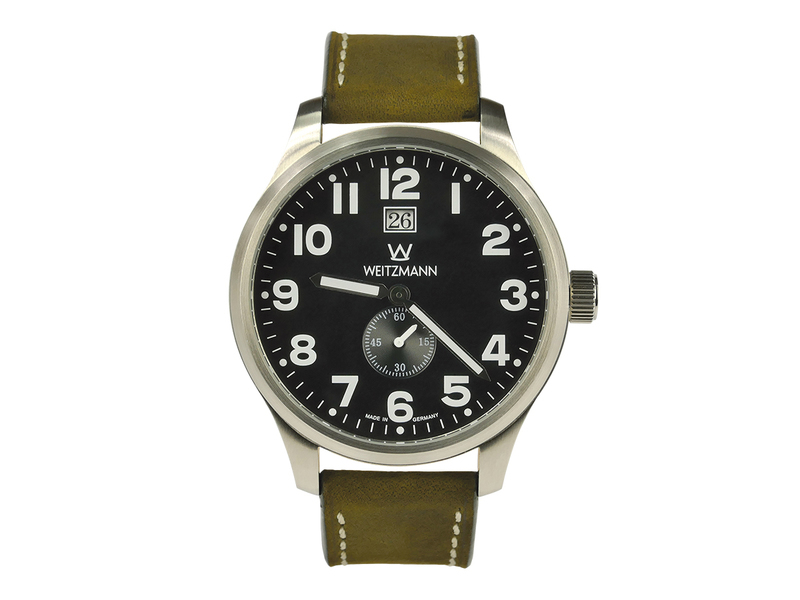 This timepiece with a classical Vintage-look comes with a black dial (model “SCHWALBE”) or a white dial (model “ALBATROS”). 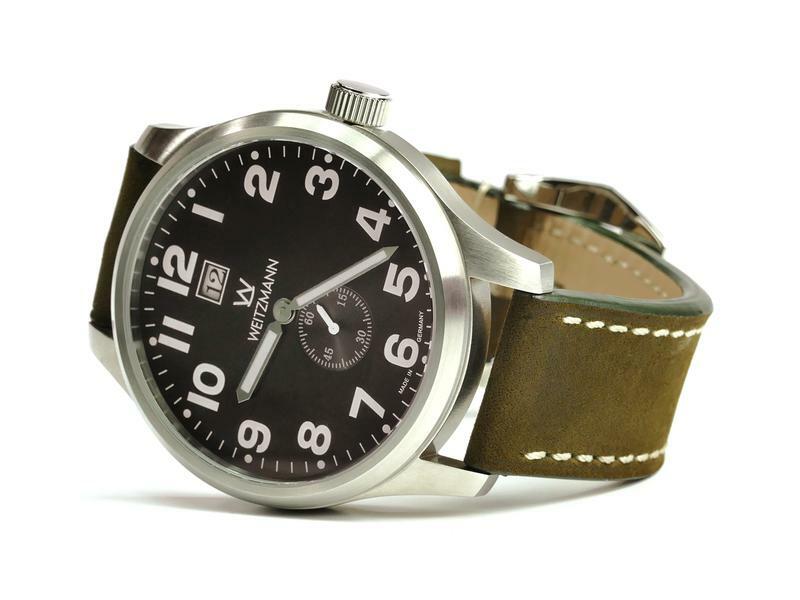 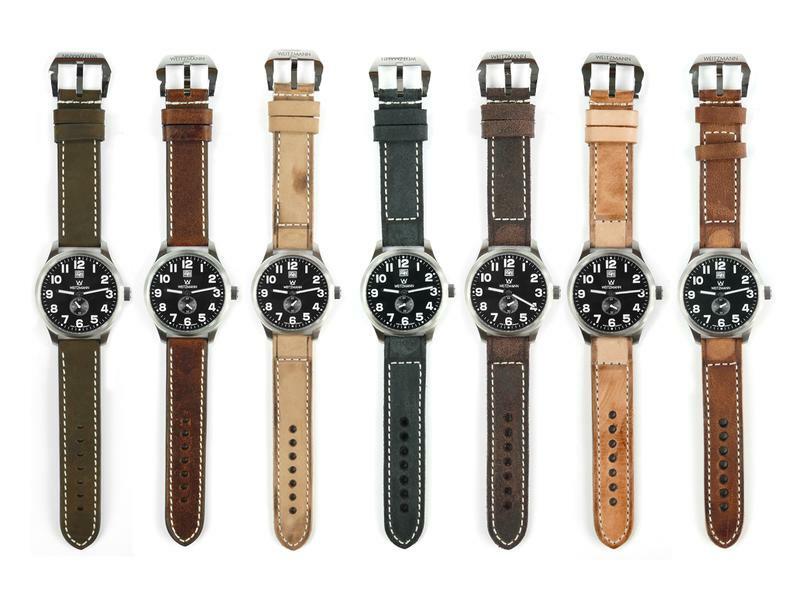 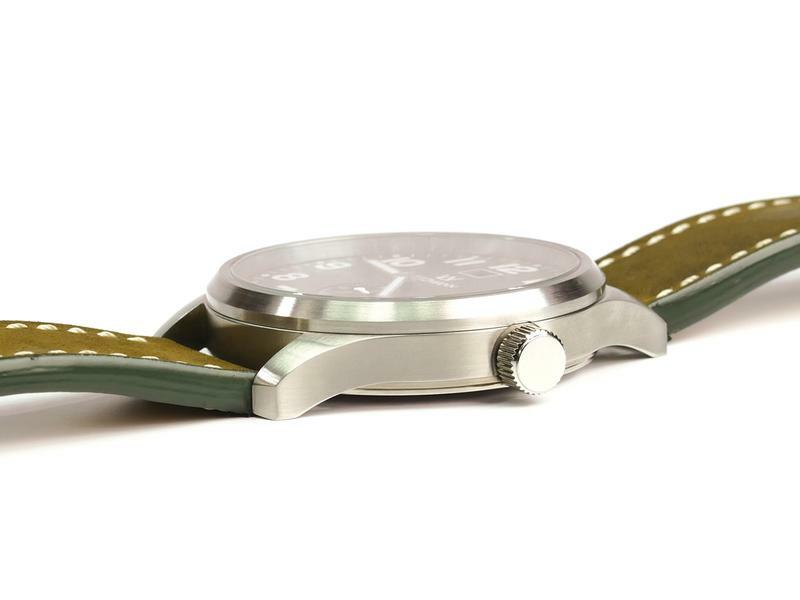 The high-quality processing of this pilot watch includes a hardened and almost scratch-resistant mineral glass and in this embodiment a stylish, hand-sewn genuine leather strap (band attachment width 22 mm) with an antique finish and in different colours so that this flagship model does not only look great but also can be worn with comfort. 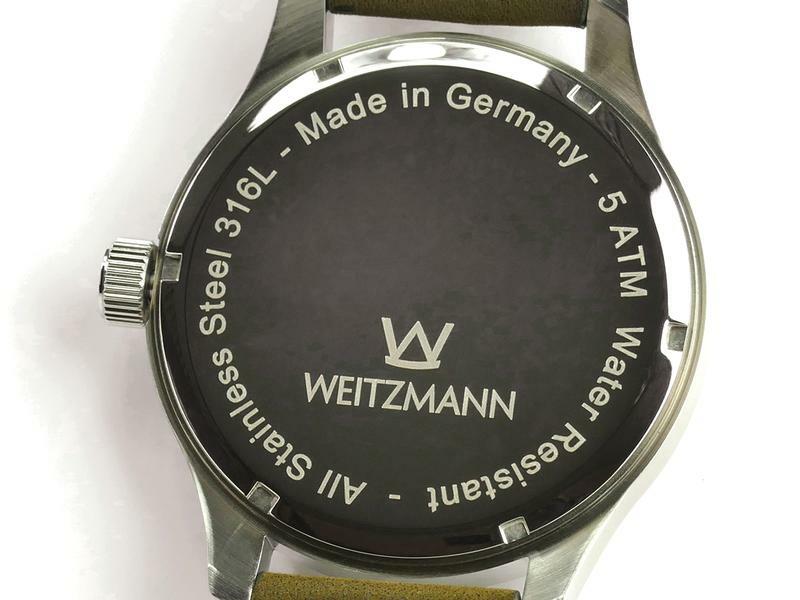 The fluorescent hour and minute-hands as well as the second hand make it easy to check the time precisely and easy. 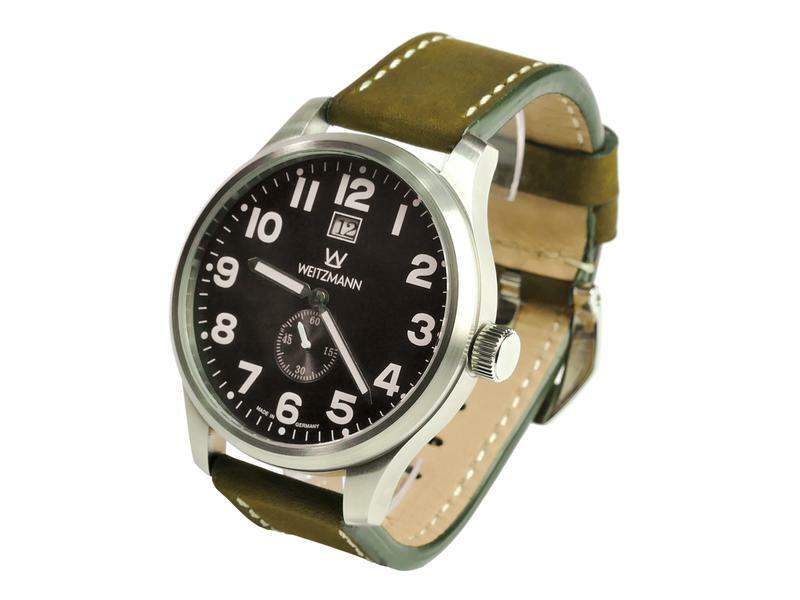 A date indicator on the 12 o’ clock position completes the smart design of this great pilot watch with a trendy retro look!